As most executives and managers know, information fuels an enterprise. Without client data, product specifications, inventory sheets, account ledgers, sales projections, and other crucial data sets, your business simply couldn’t function. These are, in many respects, your most valuable assets, since they allow you to manage your employees, serve your customers, and generate revenues. In our modern corporate world, most of these precious pieces of information are most likely stored on your computer. In fact, you probably have thousands of Excel spreadsheets (spreadmarts), Word documents, and other files filled with vital facts and figures. Given this, making data accessible is critical, and Power BI delivers. The downside to this vast array of digitized information is that it can be difficult to actually find the data you need when you need it. That one quarterly sales report becomes a needle in a computerized haystack ten minutes before an important meeting. Your accountant has trouble accessing your latest inventory list because it’s been saved on a different server. You and your sales manager disagree on projections because you’ve been operating off of slightly different spreadsheets. These issues are all too common. Still, by using Microsoft Power BI, you can not only maintain data integrity with a single source of truth but also make your data readily accessible. 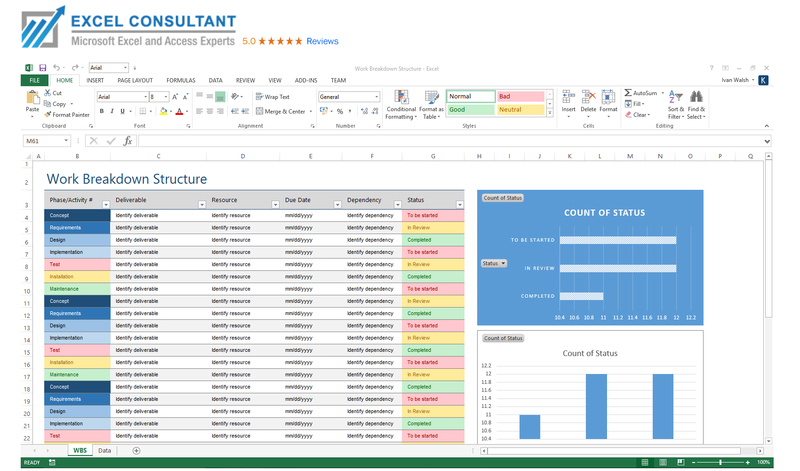 Excel Consultant is here to help with our series of practical problem-solving guides. In the following blog (the second of four on this topic) we explain how Microsoft Power BI can make your data accessible so you don’t have to deal with the hassle of hunting for it. Basically, he meant that BI software should save you the time, energy, and stress of combing through all your computerized information, instead neatly presenting you with the data you need. Making information accessible is one of the fundamental purposes of BI, so it should come as no surprise that Microsoft’s latest innovation in this area could help you resolve this problem once and for all. Do you need information about your company’s Facebook followers? No problem. Want to access a report from Salesforce? No worries. Care to check out your latest email campaign statistics from Zendesk? Yes, it will be available in your Power BI. 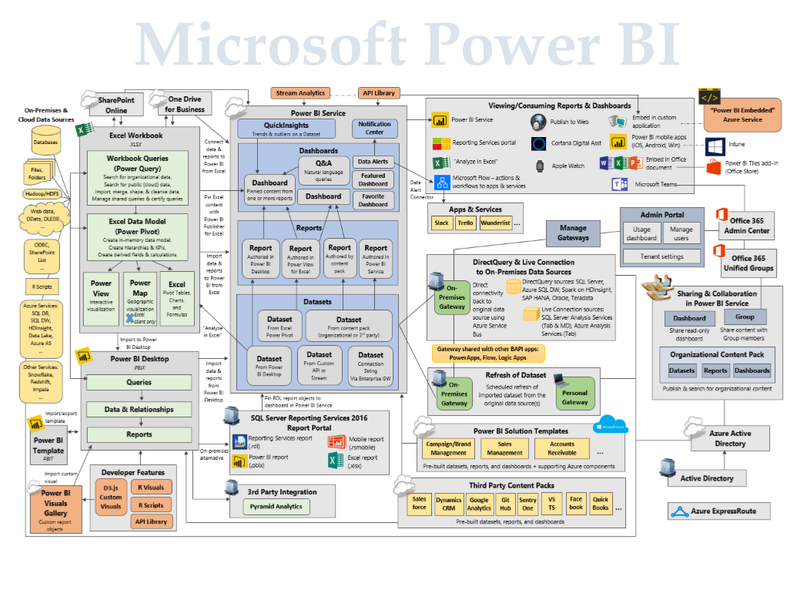 These are just a few of the hundreds of popular programs integrated in Power BI. With the Power BI service, you won’t have to worry about manually converting or cross-referencing these files. As you’ve probably experienced, outdated data is almost worse than no data at all. Operating off of last month’s inventory to fill this month’s orders, making purchases with outdated ledgers, or contacting customers who’ve already been reached; these are corporate catastrophes. Fortunately, you can easily avert these crises with Microsoft Power BI. In addition to making data from a variety of sources instantly available to you, Power BI includes a feature called “Data Refresh.” This function allows you to automatically or manually sync with relevant datasets to immediately import the most up-to-date information. As Microsoft describes, “making sure you’re always getting the latest data is often critical in making the right decisions…Now, you want to make sure your data really is the latest and greatest. 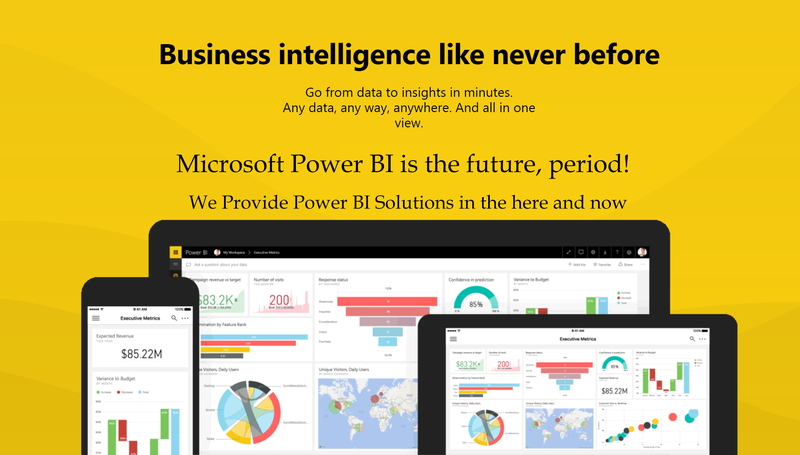 In many cases, you don’t need to do any thing at all,” since Power BI can often pull the most recent figures automatically. Being able to find the right files is actually only half of the equation when it comes to data accessibility. You might have the raw information, but can you efficiently and effortlessly read and understand it? Microsoft Power BI has a solution to this practical problem, as well. The answer is dashboards. According to Microsoft, “a Power BI dashboard is a single page, often called a canvas, that uses visualizations to tell a story.” Rather than looking through columns upon columns of figures, you and your employees can monitor your business from this single page. These simple, streamlined data sets are aptly named; they give you all the relevant facts so you can remain in the driver’s seat of your business. As Microsoft notes, “dashboards are a wonderful way to monitor your business, to look for answers, and to see all of your most-important metrics at a glance.” While they are quite attractive, “a dashboard isn’t just a pretty picture; it’s highly interactive and highly customizable and the tiles update as the underlying data changes.” Power BI’s dashboards constantly process information to give you the distilled data you need. This is the epitome of accessibility. Are You Ready to Power Your Business More Intelligently? Are you sick of spending hours searching for the information you need to run your company? Do you want your data cleanly captured and presented in just a few clicks? 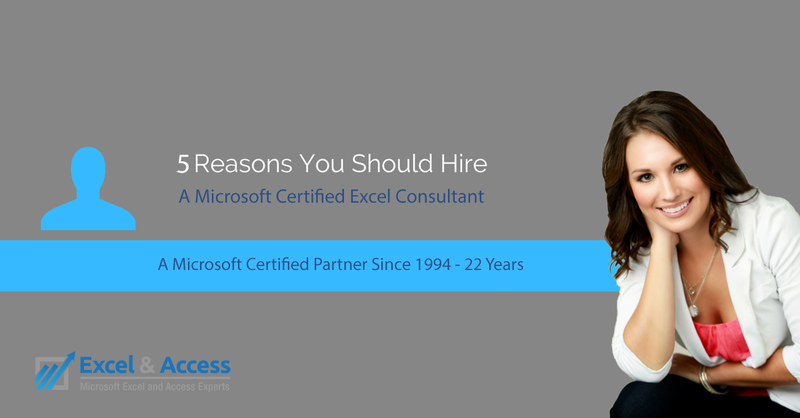 Excel Consultant can help you upgrade to Power BI with customized consulting, advanced programming, Microsoft-certified training programs, free help resources, and more. Contact us today to find out more and schedule an appointment! Learn Why You Should Hire us today! Posted on December 1, 2017 Posted in Blog Category and tagged Simple, Excel, Data, Business, Excel Consultant.